Home Life Why Can't I Make Decisions? You have to make hundreds of small decisions in a day. You have to decide what you want to wear, what you want to eat for lunch, where you want to go later in the day, how you want to respond to an email, etc. Some people can make these decisions without an issue, while others have problems, and often ask, "why can't I make decisions?" The truth is making decisions is not always easy, especially when you have to consider outcomes first. Why Can't You Make Decisions? 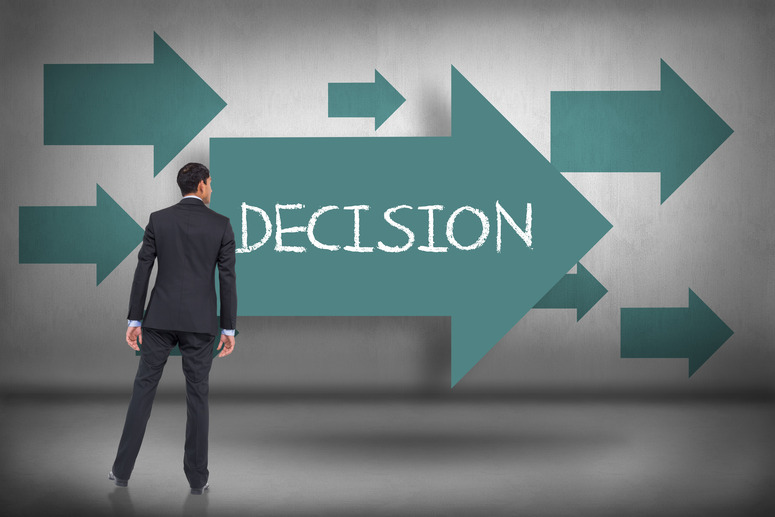 It is true that making decisions can be tricky, but some people find it extremely difficult. They spend so much time deciding what they should do. They keep vacillating back and forth and wonder if they have made a right decision. Here are some common reasons for this condition. You have to make the right decision: This is not true actually. It is more important to make the best possible choice instead of being correct all the time. You just need to make a good choice even when you do not have much information to decide. That is what good leaders do. It is fine not to make a decision: If you think that some people do not make decisions, and you can do the same, it is totally wrong. Everyone makes decisions and you sometimes do it subconsciously. Just remember that you can never make progress if you decide that you do not have to take any decision. Some decisions are more difficult: Not true actually. Every decision is important and has an impact on your life, and they are all equally important. Some decisions have no consequences: If you think that way, you are not thinking straight. Understand that every decision you make will lead to something, and you will have to accept the consequences. In fact, the most important thing is to stand by your decisions. You cannot predict the future, but you can use the information to make different choices. Those choices lead to something and whatever happens, you have to take responsibility for that. You have been a 'people pleaser' all your life. It means you sacrifice your own interests and make choices that would please others. When you keep doing things to please the crowd, you end up dealing with an identity crisis. This can make decision making even more difficult. You have been bullied a lot in your life. It usually hurts your self-esteem so hard that it even affects your decision-making ability. Being bullied can shatter your confidence and you may even lose the ability to trust yourself. This keeps you from making decisions. You have always had someone to make decisions on your behalf. This usually happens when you have been a spoiled child. You might have people in your life who always take responsibility for your actions. When those people are no longer around you, it becomes difficult for you to make your own decisions and face their consequences. The sooner you realize it, the better it is. No one can make correct decisions all the time. You should not dwell in the past and keep revisiting the moments when you made wrong choices. Avoid thinking too much about the "what if" scenario and learn to live in the present. Thinking about the outcomes before making a decision is a good thing, but overanalyzing things can confuse you and make it difficult to decide what you want. Therefore, instead of waiting too long to make a decision, you should sometimes trust your intuition to make a quick decision. Just keep in mind that there is a difference between being intuitive and being impulsive. You react impulsively when you want to do something to fulfill the emotional need of the moment. You are only going to regret your impulsive decisions later. Don't always blame yourself and ask "why can't I make decisions?" just because you think you have made a wrong decision. Sometimes, it is not about being correct or wrong, but it is more about making the best choice. Understand that you will make decisions that may not produce the outcome that you have expected, but do not let it haunt you. Tell yourself that you did not make a rash decision but something unexpected changed everything. Never let anything hurt your self-esteem and confidence, not even a wrong decision.